For Jyeztha births in the masculine valence, the condition of conversational, discursive, explanatory, instructional, argumentative, commercializing Kumara may considerably affect the outcome. 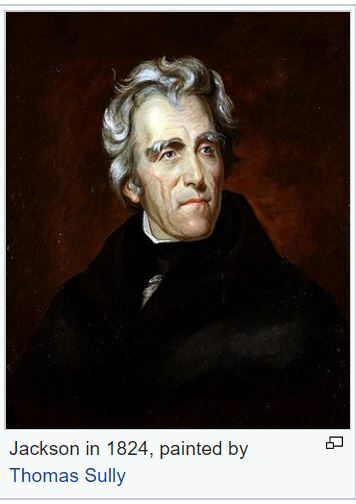 "Andrew Jackson - Ad from Tennessee Gazette, October 3, 1804. Photographed by Tennessee State Library. Reprinted in Cynthia Cumfer, Separate Peoples, One Land: The Minds of Cherokees, Blacks, and Whites on the Tennessee Frontier (University of North Carolina Press, 2007). 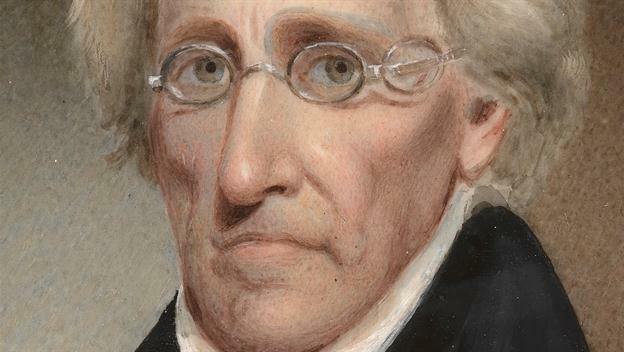 Notice published by future president Andrew Jackson offering a $50 reward, plus expenses, for the return of an enslaved mulatto man who escaped from Jackson's plantation. In a move unusual for the time, the notice offers "ten dollars extra, for every hundred lashes any person will give him, to the amount of three hundred." 22-Dec-1828 decease of wife Rachel Donelson * Shani-Ketu bhukti * He was a widower for 18 years. 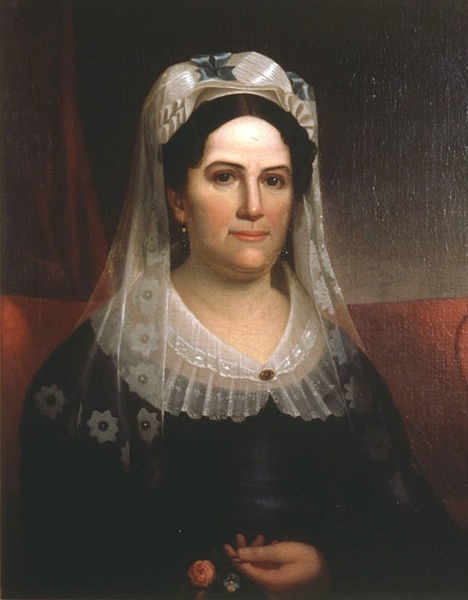 Mrs. Rachel Jackson portrayed in Tennessee in the early 1800's. Both of Jackson's parents had emigrated from "born to fight" Ulster. His elder brothers were born in Ulster, but Andrew would be born in the USA. Sadly, three weeks before Andrew's birth, his dad died, making Andrew the youngest son of a poor immigrant widow. Meena Surya (politics) + uttama-Zukra (wife) + nichha-Budha (untruths) in the revolutionary, emotionally turbulent, perpetually transformative, trauma-inducing 8th-from-Chandra -10 Simha politics governance. Jackson's mother was politically active (Simha, incoming drishti of active Mangala) in the Revolutionary War cause. She nursed wounded soldiers, and died of disease thus acquired. Generally the lifepartner of 7th-from-Chandra-10, whether husband or wife, wishes to stay at home. 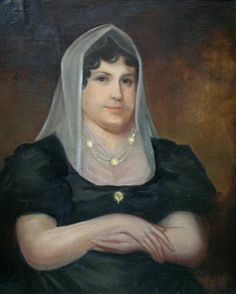 Mrs. Jackson remained at the Hermitage while Mr. Jackson fought battles and ran political campaigns. Bhava-4 representing the partner is Kumbha receiving 10th-drishti from responsible Shani-7, suggesting her deep and unswerving sense of duty to her lands and her marriage. Meena Surya (politics) + uttama-Zukra (gracious wife) + nichha-Budha (untruths, half-truths) in the revolutionary, emotionally turbulent, perpetually transformative, trauma-inducing 8th-from-Chandra ra-10 Simha politics governance. Guru-yuti-Chandra The Jacksons adopted three sons and opened their home to a several of Rachel's nieces and nephews. Zukra-yuti-Surya = a handsome visage. Jackson suffered acute health issues, but he kept a thick head of hair, sparkling green eyes. Despite his evil doings and his sicknesses, he remained a handsome fellow. Meena Surya (politics) + uttama-Zukra (wife) + nichha-Budha (untruths) in the revolutionary, emotionally turbulent, perpetually transformative, trauma-inducing 8th-from-Chandra -1-10 Simha politics governance. During the "dirtiest campaign in American history" the notorious election of 1828, the supporters of her husband's rival, POTUS-06 American System 1767-1868 John Quincy Adams attacked the virtue of both Jackson and his wife. A great beauty in her youth but unable to bear public exposure, Rachel Donelson Jackson was bombarded taunts of 'harlot' and 'hussy' from her husband's political enemies. Zukra-Meena * uttama * Mrs. Jackson was said to have enjoyed a lovely appearance in youth. Yet her short stature paired with a notably full figure in her maturity exacerbated existing cardiac issues, Simha 6th-from-Zukra. 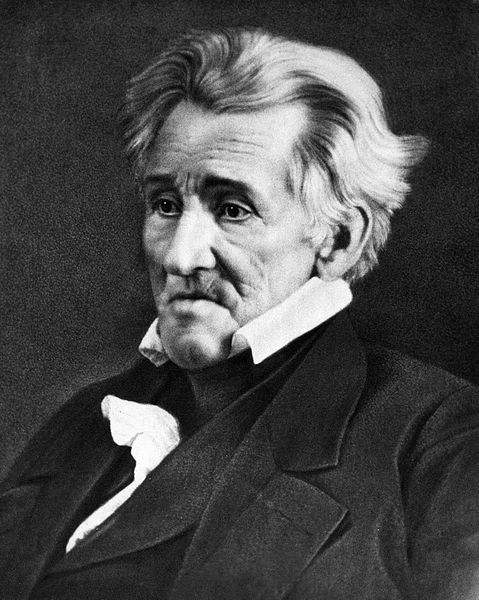 She died of heart failure only weeks before her husband departed Tennessee toward Washington DC, en route to begin his governance service as POTUS-07. Incoherent Zukra-yuti-Ketu in 10th navamsha suggests that he would need to govern (10) without the reliable support of partners-advisers. Jackson was also unable to sustain a working cabinet due to fractiousness and greed, suggesting impairment to Zukra in both D-1 and D-9. Rachel retreated into privacy (Meena)) protecting herself with obesity and a facade of stern Biblical piety. She helped her husband privately, and her family's wealth funded Jackson's career (uttama-Zukra in the revolutionary, emotionally turbulent, perpetually transformative, trauma-inducing 8th-from-Chandra -10 = spousal treasures) . Yet she eschewed public appearances and remained sequestered. Overweight (Meena lymph) and overwhelmed, she developed symptoms of angina and died just before he began POTUS-07 work in Washington DC. He served eight years 1829-1837 as a widower, never remarrying. However Surya-yuti-Zukra and Budha-yuti-Zukra do suggest additional private liaisons. forced red-race hunter-gatherer native tribes to abandon their animal-rich lands and march into the interior wastelands, creating the legendary "Trail of Tears"
Rahu in bhava-3 * privilege via glamorous or unusual writing, reporting, news announcements, commentary, messaging, publishing; seeks a special, important explanatory, descriptive, or instructional role in commercial business, internet, cinema, or communications media. Opportunistic, ambitious sibling-cousin or cohort. During Rahu Mahadasha, where Rahu gives effects of Shani bandhupathi properties, lands, housing, in 1804 Jackson acquired the slave-labor cotton plantation "The Hermitage" This agricultural operation eventually expanded to more than 1000 acres * 425 hectare * and 150 enslaved workers. Jackson was personally identified with The Hermitage and he used its image in all of his public-relations promotional material. owner of "The Hermitage" a substantial slave-powered Tennessee plantation. His wealth came from sales of its agricultural products and its slaves.